Bill McKibben is an American environmentalist and writer who frequently writes about global warming and alternative energy and advocates for more localized economies. In 2010 the Boston Globe called him “probably the nation’s leading environmentalist” and Time magazine described him as “the world’s best green journalist.” He is author of many books, including The End of Nature, Deep Economy: The Wealth of Communities and the Durable Future, and most recently Eaarth: Making a Life on a Tough New Planet. 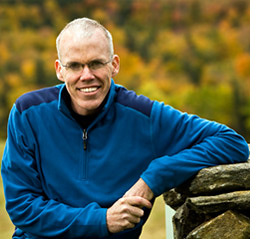 McKibben is Schumann Distinguished Scholar in environmental studies at Middlebury College and a co–founder of 350.org.